mooie staal verchroomde olie pan voor th350 automaat met olie aftap plug. 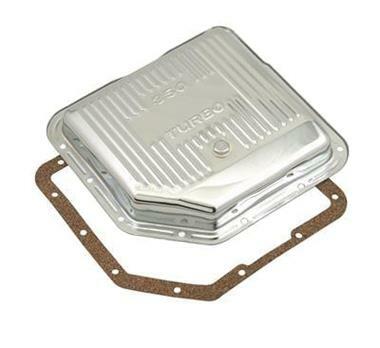 Transmission Pan, Stock, Steel, Chrome, GM, TH350, Each. 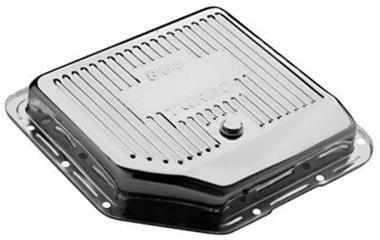 Description: These automatic transmission oil pans from Mr. Gasket are stock-depth chrome plated pans. They come complete with a washer and gasket and most have drain plugs.